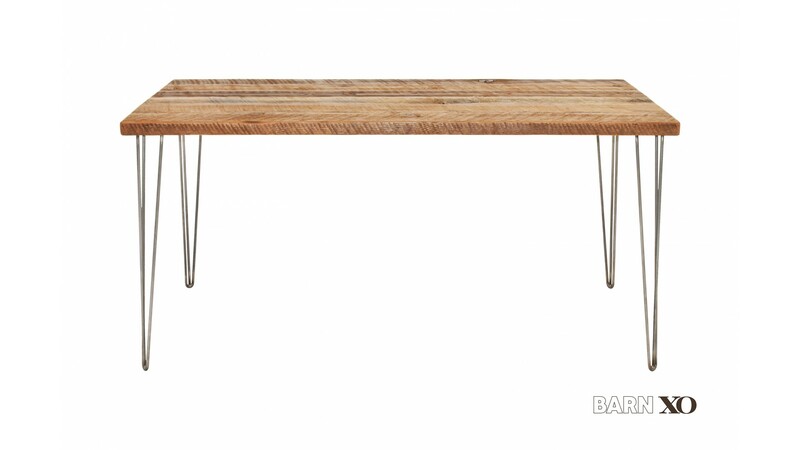 These modern Desks are HANDMADE in the USA. 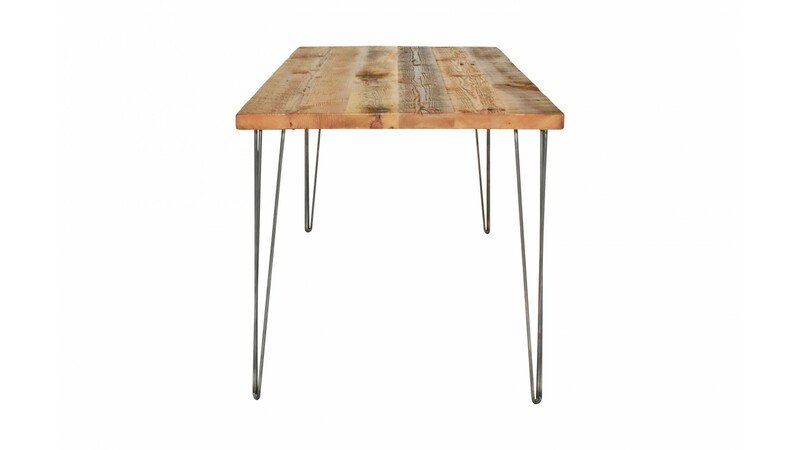 It's an ideal piece to add a rustic yet modern touch to your home, kitchen, bar or restaurant. It's very durable and we've built it to last. The wood top is reclaimed, old Growth Douglas Fir that was salvaged from a project of ours. The building was over 170 Years old giving the wood beautiful character. 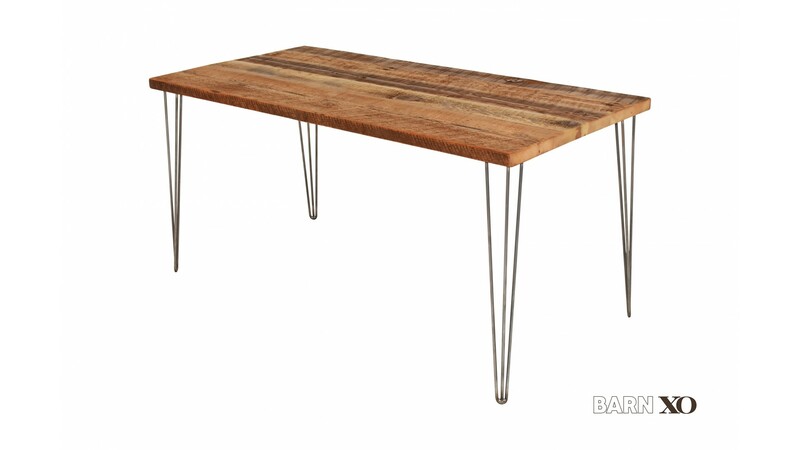 It's very satisfying to use reclaimed wood to produce furniture. It's timeless and unique look and its environmental contribution as a recycled green building material makes the end product special. 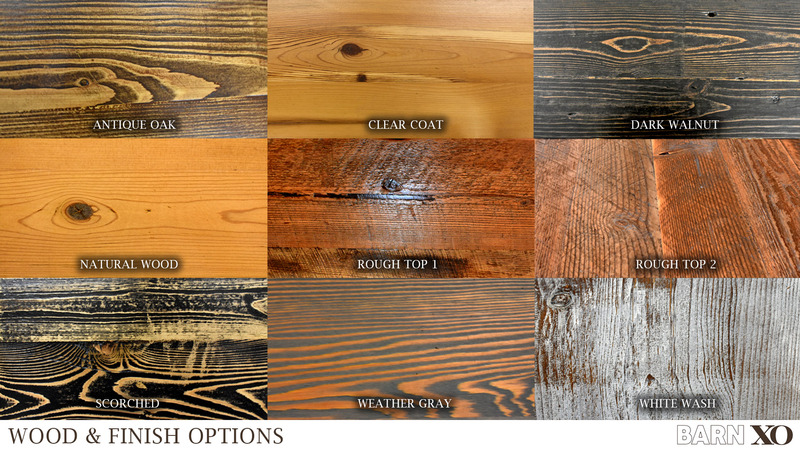 Our reclaimed wood is salvaged from barns around the country. As barns age, their structure becomes compromised but its wood ages beautifully gaining timeless characteristics that make for beautiful furniture. 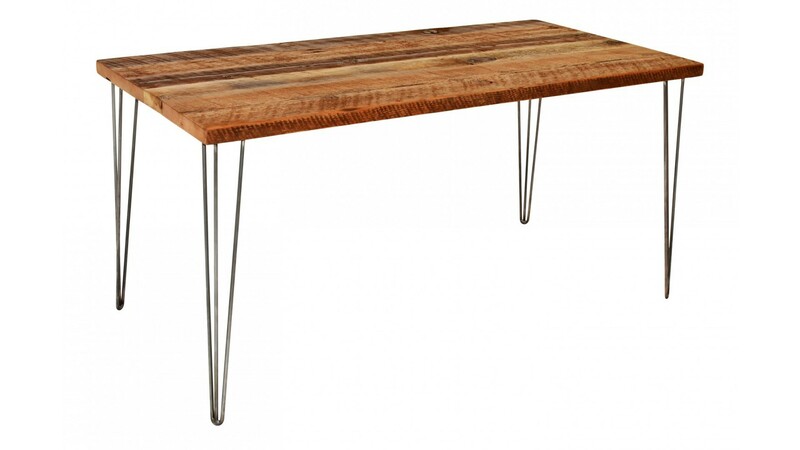 Our wood makes great furniture for your home, office or really any place of business.